If you have information that your employer is violating laws or regulations, or if your employer is causing danger to public health and safety, you may feel obligated to report this information. If you do so, then you may be considered a whistleblower. There are many state and federal laws in place that protect whistleblowers from retaliation by their employers. Read this page to get general information about what constitutes whistleblowing, what actions by an employer are considered retaliation, and how anti-retaliation laws can protect you when you do the right thing and report wrongdoing. 1. What are whistleblower and antiretaliation laws? 2. What is the difference between whistleblowing and retaliation claims? 3. Which anti-retaliation claims are most commonly used? 4. How can I show that I was retaliated against in violation of the law? 6. Can an employee go too far: is some conduct not protected activity? 7. What if my employer doesn’t know I am involved in protected activity? 9. I haven’t been fired, but my employer has decided to make my life at work very difficult. Can I still bring a claim if I haven’t been terminated? 10. How do I prove that the protected activity caused the adverse action? 11. Are all of the whistleblower and anti-retaliation laws the same? 12. What are my time deadlines? 13. Where can I find more information? Many violations of the law, and many dangers to public health and safety, go unreported because people who know about them are afraid of retaliation. As our livelihoods, and often our health insurance, are dependent on our jobs, the fear of losing a job is pervasive. Whenever the law provides a remedy for victims of retaliation, it encourages employees to come forward with evidence that will make our world safer, healthier and more just. Many, if not most, of the laws that protect workers, such as antidiscrimination laws, wage and hour protections, and health and safety laws, also make it illegal for an employer to retaliate against someone who engages in conduct which the law protects. Many laws protecting the public at large, such as environmental laws, taxpayer-funded programs, and government regulation of certain industries, such as nuclear power, trucking, and airlines, protect employees who disclose information that the employee reasonably believes is evidence of illegality, gross waste or fraud, gross mismanagement, abuse of power, or a substantial and specific danger to public health and safety. Although whistleblower and retaliation claims are often discussed interchangeably, and claims brought by whistleblowers generally involve retaliation by an employer, there is a difference between the two types of claims. Whistleblowing complaints focus on conduct prohibited by a specific law and/or conduct that may cause damage to public safety, waste tax dollars, or violate public trust in an honest, accountable government. Whistleblower complaints seldom include an employer’s retaliation for complaints about personal dislikes or issues that affect only a single person. However, laws governing the workplace that guarantee rights to each individual worker, such as the right to be free from discrimination, the right to be paid minimum and overtime wages, and the right to join a union do address the rights of an individual worker to enforce their personal legal rights under the law, and to support others who enforce their personal legal rights. If employers interfere with those rights in illegal ways, the individual can bring a retaliation claim to vindicate those individual rights. In this section of our website, we have compiled information on the most common laws which make it illegal to retaliate and/or protect whistleblowers. You should start with the basic premise that many laws which protect employees prevent retaliation for enforcing those rights, and that many laws which protect the public prevent retaliation against those who blow the whistle on those violating those laws. ► That your protected activity caused the employer to take adverse action. The scope of protected activity is defined by each law that creates an employee protection. Under some laws, only an actual complaint to a specific agency is protected. Under some state laws, there is a “play fair” provision which requires employees to tell their employers about the wrongdoing first, to allow them an opportunity to correct the problem. One court held that telling the boss that you plan to sue for overtime is not protected — only actually filing a complaint is protected. Other courts have read the law with an eye toward the purpose of protecting anyone who tries to help enforce the law. For example, under the Civil Rights Act of 1964 (also known as Title VII), employees are protected for (1) participating in proceedings to enforce the law, and (2) opposing unlawful discrimination. The “participation” clause protects anyone who files a charge of unlawful discrimination or serves as a witness, whether or not the charge had merit. The “opposition” clause, however, requires that the employee have an objectively reasonable basis to believe that a violation of the law had occurred. So, if you caution the boss that some action might be a violation, and you are fired just for giving that caution, your claim of retaliation will depend on whether the judge thinks it was reasonable to believe that there was a violation. Protection can begin as soon as the evidence suggests that management thought the worker might be a witness in a future enforcement proceeding. Filing a grievance, contacting the media, refusing to perform illegal assignments, and other forms of standing up against violations of the law can be protected. Even complaints that are indirect or misdirected may result in protection if they reveal to management the intention to enforce the law. For employees assigned to safety, quality control or enforcement work, doing that work too well is also protected. Courts have recognized that protected activity may be associated with “impulsive behavior.” Employees cannot be disciplined for protected activity so long as it is lawful and the character of the conduct is not indefensible in its context. A key inquiry is whether the employee has upset the balance that must be maintained between protected activity and workplace discipline. If the employee’s behavior oversteps the defensible bounds of conduct, the employee can lose the protections of the law. For example, one employee lost after swearing at a supervisor, refusing to change conduct, and daring employer to fire the employee. So, it’s important to keep your cool. In fact, the 8th Circuit recently adopted the “reasonable employee standard for Sarbanes-Oxley Act whistleblower claims. The 8th Circuit stated that a whistle blowing employee is not protected from retaliation under SOX if a reasonable person, in the same position and with the same training and experience, would not have believed there was a securities violation to report. This is also known as the Sylvester standard from the case of Sylester v. Parexel Int’l. Especially where the whistleblower has tried to be anonymous, it may be hard to prove the employer has knowledge of the protected activity. Still, some courts will use inferences to deduce who the employer may have suspected. If you were among a select few who had the necessary information and the courage to speak up, that might be enough for a judge to “infer” employer knowledge. Sometimes, the employer’s investigation or interrogation of an employee can reveal the employer has knowledge of the protected activity. To avoid this problem, some sophisticated whistleblowers will announce their protected activities. If they disclose copies of evidence to an agency, they can send a copy to the employer by certified mail. Certified mail has the advantage of creating a document that shows the date the employer received the item. If the retaliation occurs shortly after the whistleblowing (say within six months, or sometimes longer), then the timing alone may persuade a judge that the employer’s true motive was because of the whistleblowing. However, if you are blowing the whistle on criminal activity, it would be best to get experienced legal advice before disclosing your protected activities. Disclosure can have the effect of telling the crooks that the cops are coming after them – which could be a form of obstruction of justice. A few state laws provide a remedy only for discharges. Most anti-retaliation laws provide remedies for any discrimination or “adverse employment action.” Courts have varied on what constitutes an “adverse employment action.” Usually, any action that costs the worker money will be an adverse employment action. Discharges, of course, cost the victim money. So do demotions and denials of overtime, promotions, or benefits. Formal discipline is generally accepted as an adverse employment action. Courts are inconsistent on whether they will allow a remedy for a bad evaluation, denial of a transfer, changes in hours or work location, hostile remarks, denial of parking privileges, and other changes that do not reduce a worker’s paycheck. Some laws clearly prohibit any discrimination in employment. While the legal rights of employees have increased, so has the sophistication of bosses who want to retaliate. Instead of discharging a whistleblower, they look for more subtle ways to apply pressure. Promotions or transfers may evaporate. Discipline can increase. Hostile remarks can make you feel unwelcome, like you are an outsider. Isolated incidents can come together to paint a picture that it is time to go. Can the employer convey the need to quit with measures that are safe enough to avoid legal action? Across the country, bosses and workers are playing cat and mouse to find out. The courts have applied the same doctrines used in sexual harassment cases to protect workers who stand up for their rights. When courts conclude that the employer was trying to get the worker to quit, or made working conditions intolerable, then they declare a “constructive discharge,” and allow the victim full remedies after quitting. However, these doctrines are not yet specific enough to protect everyone who felt forced out. For more information on harassment and constructive discharge, see our site’s harassment page. Direct evidence is evidence that the employer was mad at the protected activity. If you or another witness saw a supervisor spout off about someone reporting a violation, that is direct evidence of the employer’s “animus” against protected activity. Similarly, if the employer announces that whoever calls the government will be fired, or warns employees against reporting violations, that is direct evidence of retaliation. A worker may have a strong case even without any direct evidence. In some cases, causation is obvious. The boss runs into the office yelling about the so- and-so who reported a violation of the law. Norma Rae raises her hand and announces that she made the call. The boss fires her on the spot. The timing and personal animus make the retaliation clear. ► We had to fire him because he called the EPA on us. ► She discussed our wage policies with co-workers. ► the use of false evidence. No. Unfortunately, whistleblower and anti-retaliation laws generally take on the same rights and remedies as the law relating to the underlying right they protect, which means that they can vary widely from one another. Some laws, like the Fair Labor Standards Act, gave victims of retaliation direct access to courts to enforce their rights to reinstatement, back pay and other remedies.  Other laws, like the Civil Rights Act of 1964, and the new Sarbanes-Oxley Act of 2002, require victims to file first with an agency, but then allow access to the courts if the agency does not resolve the complaint within six months. Since each law with an employee protection is unique, victims of retaliation may face a patchwork of procedures and possibilities. Employees who have the confidence to speak up sometimes have opposed various kinds of unlawful activity. For example, a member of a union safety committee may engage in concerted union activity, oppose an environmental violation, and complain about unsafe working conditions — all with the same phone call to one agency. In some cases, the activist may have opposed various kinds of unlawful conduct in separate actions. When the employer finally snaps, it may be hard to tell which protected activity provoked the retaliation. In these situations, it is hard to tell which law will be applied, or which will provide the best remedy. The employer, when faced with a variety of charges, will argue that the victim made inconsistent claims and none of them have merit. Special attention, therefore, is required to make each complaint explain how the protected activity that provoked retaliation is protected by all of the laws asserted. The analysis of which legal claim to pursue must start with a sincere attempt to understand why the employer retaliated. ► Did the decision maker state his or her reasons? ► Has the employer stated in writing a reason that is illegal? ► Do the circumstances of timing, animosity, or a pattern reveal what the employer’s true motives are? ► If your company has a progressive discipline policy, was it speeded up or ignored in your case? ► Have other employees been fired for whistleblowing or retaliatory reasons? ► the familiarity you or your attorney have with each process. Some laws completely omit any protections for employees to help enforce those laws. Tragically, the laws governing our health care, food and drugs contain no employee protections. In some cases, courts have applied the laws against fraud, unsafe work conditions, or pollution to reach these situations, but some courageous whistleblowers still find that they have no legal relief. One example of a strong state whistleblower law is the New Jersey Conscientious Employee Protection Act ⚖. Our work continues to improve these laws, so that they are closer to New Jersey’s example. Each law that provides a remedy also sets a time limit to file a written complaint to start an enforcement action. Lawyers call this time limit the “statute of limitations.” In each case, the time limit requires that a complaint be written, and that it contain some description of the claim. This is typically a statement of the adverse action and the law claimed to be violated, like “I was fired because I complained about race discrimination.” It must also name the company or individuals who violated the anti-retaliation law, and provide their address or other contact information. Each law, however, sets different procedures for how and where the complaint is filed, whether it must be mailed or received by the deadline, and whether it can be amended or supplemented later. ► Union contracts may require filing a grievance in as little as three (3) days after each adverse action. ► State and local employees may have time limits as short as ten (10) days to enforce their civil service protections. ► Federal environmental laws require that a written complaint be filed withOSHA within thirty (30) days of each adverse action. ► Federal employees complaining of EEO violations must make their first complaint to their agency’s EEO officer within forty-five (45) days of each adverse action. ► Other laws have time limits at 90, 180, or 300 days, or any number of years from 1 to 6. So, to plan what action you will file, you need to consider the possible laws, and when the earliest deadline is. Sometimes it is good to take time to assess the case and the possible claims before applying for unemployment compensation. The application for unemployment compensation will usually ask for a statement of the reason for separation from employment. The stated reason should be consistent with the claims you will make later in court. Before the deadline to file your action arrives, you will need to have a plan to prove that the other side broke the particular law under which you are making a claim.